"First time used from internet choice. I will recommend you..."
This customer needed the downspout on the side of their home to be re-pitched and lifted off of their driveway and attached to their siding in order to ensure proper drainage. Removed old deck, need cedar siding repair. We would like a quote for our soffit & fascia. Need an attic insulation estimate. I am somehow getting water that is damaging the dry wall on the north facing interior of my home. Not sure if its bad siding or roof issues. Can you come by and take a look? The time to complete the work from when the order was finalized took several weeks. This is the only improvement suggestion. Other than that I am a satisfied customer. 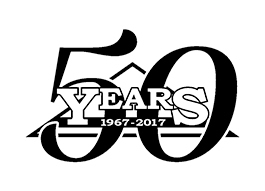 Jim W. St. Croix Ave.
Stan's Roofing & Siding has served the residents of Downers Grove since 1967 with a wide range of roofing and siding services. Our employees are professionally trained and capable of installing or repairing your roof or siding quickly and efficiently.